At Delta Prescriptions, we do not sell products that the vets sell. We work with veterinarians to develop specialized liquids, gels, treats, creams, capsules amongst others all for veterinary use. 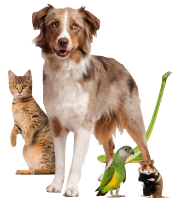 We have treated horses, rats, cats, dogs, snakes, turtles, birds, flying squirrels, ferrets, lizards, hamsters, rabbits, guinea pigs, and more.